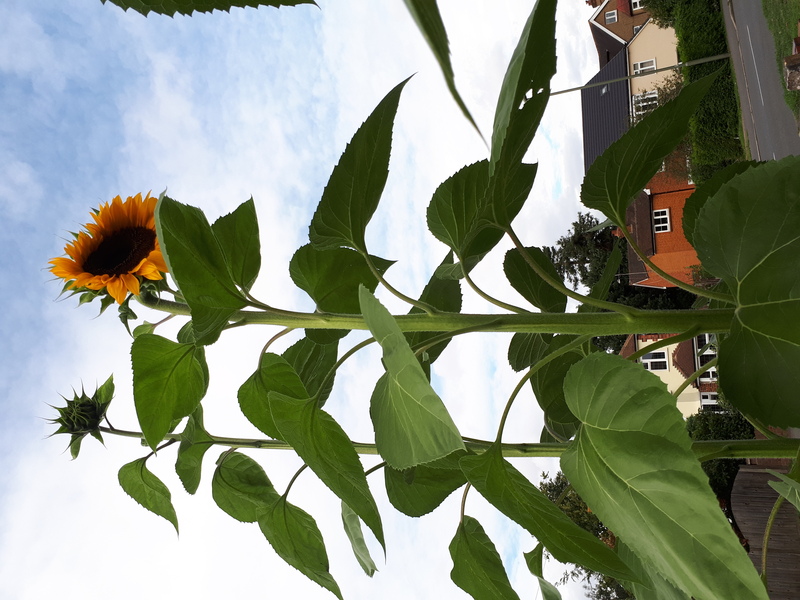 Although sunflowers have been less numerous this year, we have a very worthy winner with a 3 meters 24 cms sunflower grown in a front garden on the Burwood Road. Mr Ned Ruffle (92) is a veteran sunflower grower and his efforts were rewarded with a £25 voucher from Squires. 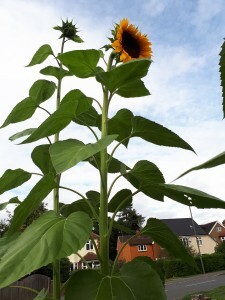 The HRA would like to thank Squires for their continuing generous support for the Hersham Sunflower Competition. The next HRA committee meeting will be held from 7.00 – 8.00 on Thursday 20th September 2018 at the Watermans Arms function room, all are welcome – whether you are an HRA member or not. The main items on the agenda will be an update and discussion on Turners Lane, and also on the Village Hall following an Elmbridge meeting about this on the 19th September. The HRA meeting from 7.00 – 8.00 will precede the separate Hersham Community Council (HCC) meeting at 8.00 (see the post below). This arrangement will make it easier for those wanting to attend both meetings. The group promoting the creation of a Community Council (HCC) for Hersham are holding weekly informal drop in sessions on Thursdays at the Watermans Arms function room from 8.00. The sessions will continue during the consultation which Elmbridge are running (which ends on 23th October). All are very welcome to come along to listen, ask questions and discuss issues and queries about the initiative and the consultation. Your name and address should be stated clearly on any representations submitted, any representations submitted anonymously will not be taken into account. Elmbridge also state that they will make available for public inspection full copies of all representations it takes into account as part of this review. This is an informal drop-in session where Councillors, partners and relevant Elmbridge Officers will be available to speak to local residents, followed by a presentation and Q&A session with the Leader of Elmbridge Borough Council, Councillor Tim Oliver at 7.30pm. At the HRA committee meeting on 8 August it was noted that a previously refused application to build a significant number of dwellings on Chestnut Meadow in Whiteley Village and additional care facilities in the region of Whiteley Walk was now the subject of an appeal hearing under the jurisdiction of an inspector representing the Secretary of State. There was concern that this development would be detrimental to the wider infrastructure in Hersham and to the rural nature of the intended development area. It was agreed that the HRA would deliver a submission at the hearing objecting to the appeal being lodged by Whiteley Village to have the refusal overturned. The HRA submission was read out at the hearing on 21/08/18 and is posted here on the HRA blog for information.